A unique musical blend from the Belgian homeland, all from the hand of guitarist/composer/bandleader Wouter Rosseel (Lee Perry, Congo Ashanti, Pura Vida). As if Ernest Ranglin, Skatalitesand Monty Alexander would share the same stage.Expect original tunes, clever compositions and great jazz musicians with a reggae attitude! 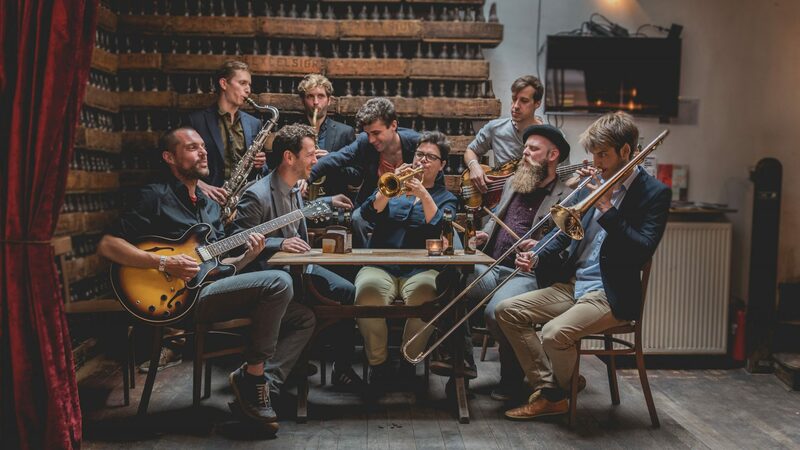 The first class musicians of JJO have played in groups like Leki, Pura Vida, Brussels Youth Orchestra, Lee Perry, Congo Ashanti, Nordmann, Manngold de Cobre, Zulemax, The Rhythm Junks, … and many more. Orders of the 7″ vinyl single will also include digital downloads of the track as soon as ordered. The actual vinyl copies will be available from 30 november.